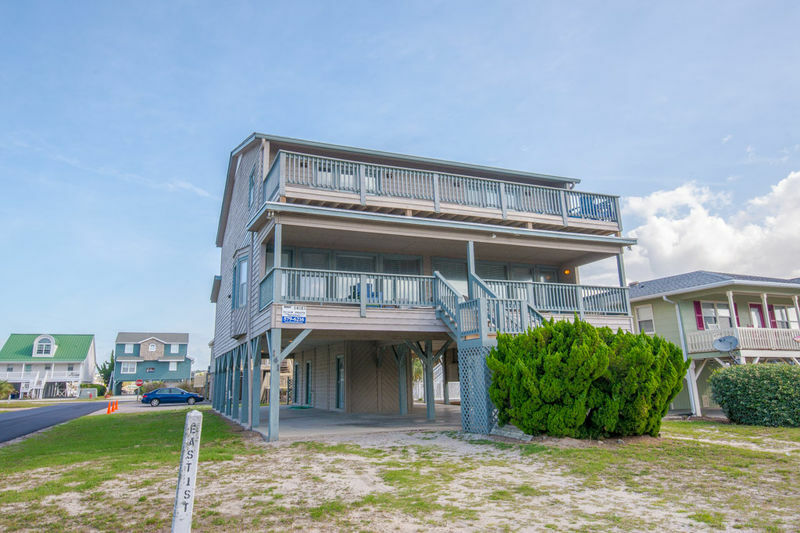 SECOND ROW has a covered porch on the main level and an open sundeck upstairs off both master bedrooms with nice partial views of the ocean. Relax in this 6 bedroom/5 bath home with an exceptionally extra large open living area including a wide screen TV with premium cable, DVD Blu-ray player, wet bar, a dining table for 10-12, additional round and rectangular tables, open kitchen area with counter bar for additional seating, dishwasher, microwave, 2 coffee makers, 2 refrigerators and washer/dryer off the kitchen. Central heating and air, high-speed wireless internet, ceiling fans in each room, fixed wooden mini crib that can be moved from room to room, highchair, enclosed hot/cold outside shower, covered parking, and gas grill. Sleeps 20 - First Floor: 2 Queens, 2 Queens. Second Floor: King, King, 2 Queens, 2 Queens. Blue Ribbon service included, all bed and bath linens provided with the rental.